Some days we sit here and reminisce and we both can't even believe it is the year 2016. It's so very true that time flies and the older you get the more you realize this. While time is flying by for us all, I think it's on most of our minds that we need to start leading a healthier life, however it is one of those things that is easier said than done for most of us. That's why finding little "cheats", or convenient ways to live a little healthier, are so important. It's admirable to lead a healthy life, but for a healthy life balance, on occasion you should still allow yourself to let loose and kick back... After all with time flying by, it is more important now than ever. 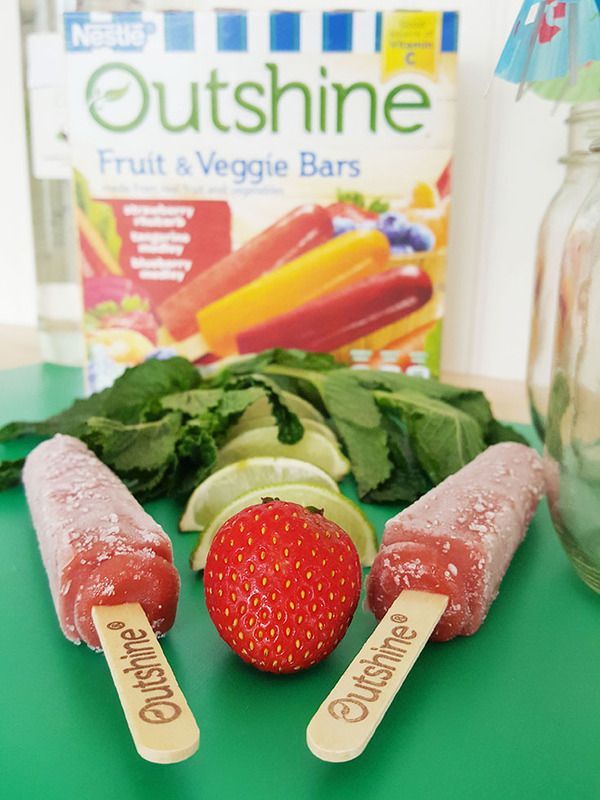 Using Outshine frozen fruit bars, we have done just that. 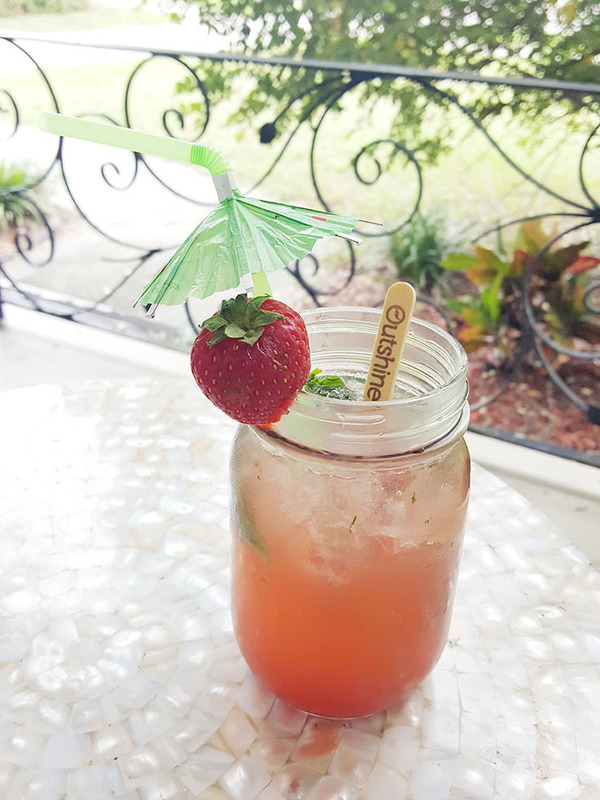 We have made the most delicious (but still healthier) strawberry rhubarb mojitos and we're super excited to share our new "healthy" treat with you. Check out the recipe below and get ready to extend the summer, relax, and enjoy all the work you put into being the best version of you. First you squeeze in the lime juice. Cut the limes into fourths and squeeze a full half lime into each glass. Next put 3-5 mint leaves in each glass, depending on size. Now you will want to muddle the mint leaves with the lime until the mint leaves are mushed. 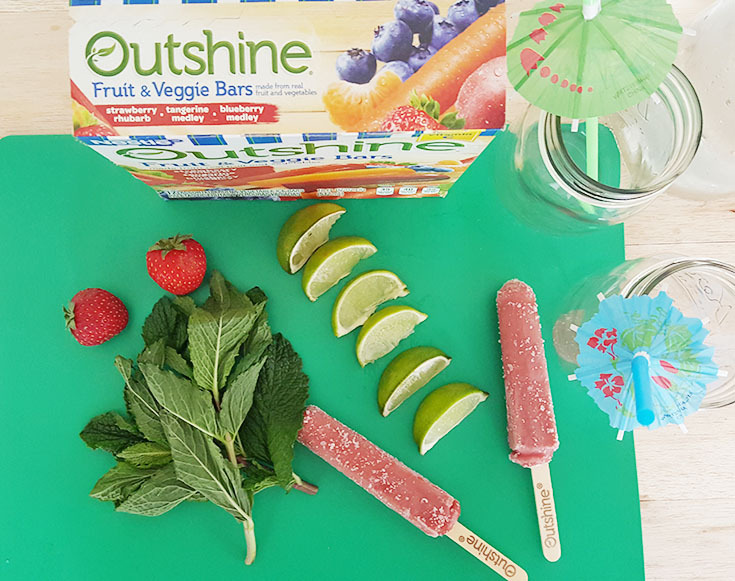 Now add the Outshine fruit bar. Add 3 oz of rum into each cup, pouring it over the Outshine bar. 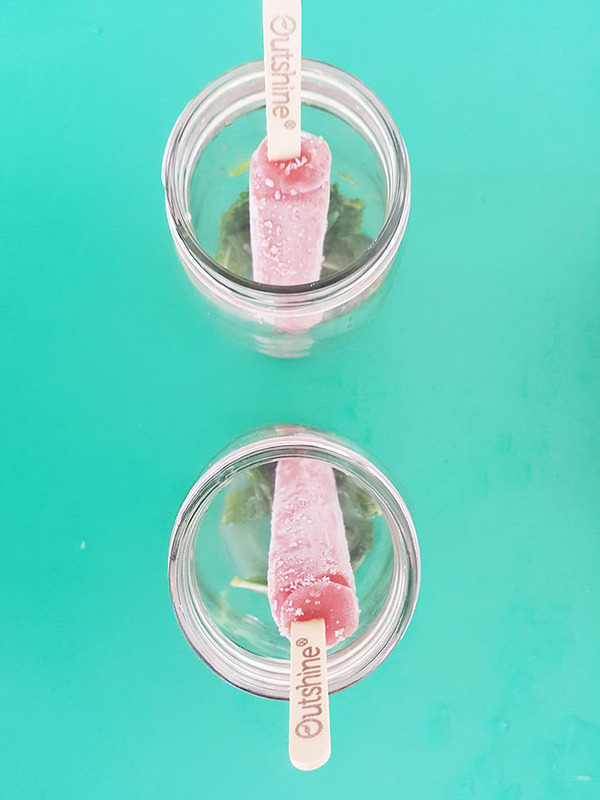 Then fill the glasses close to halfway with sparkling water, again pouring the sparkling water over the Outshine frozen bars. 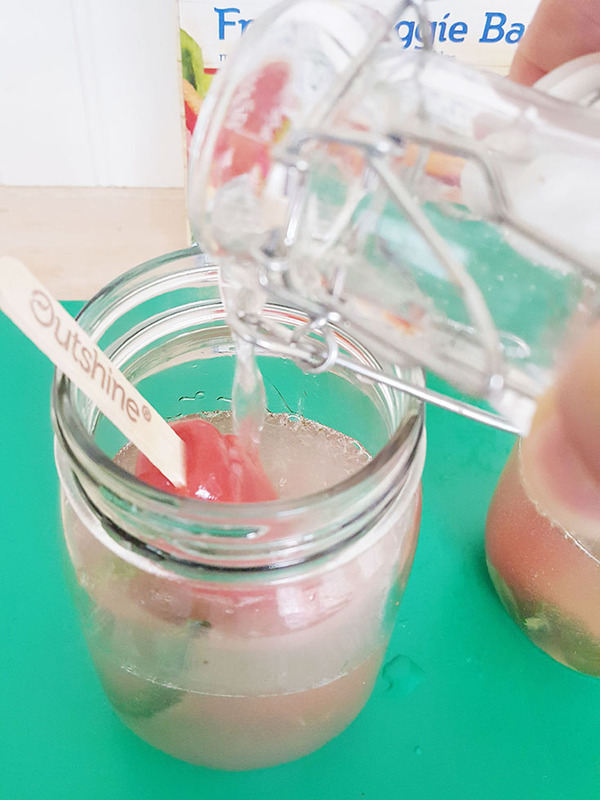 Stir the drink well with the Outshine stick, mostly melting the frozen treat. Fill the glass the rest of the way with ice. 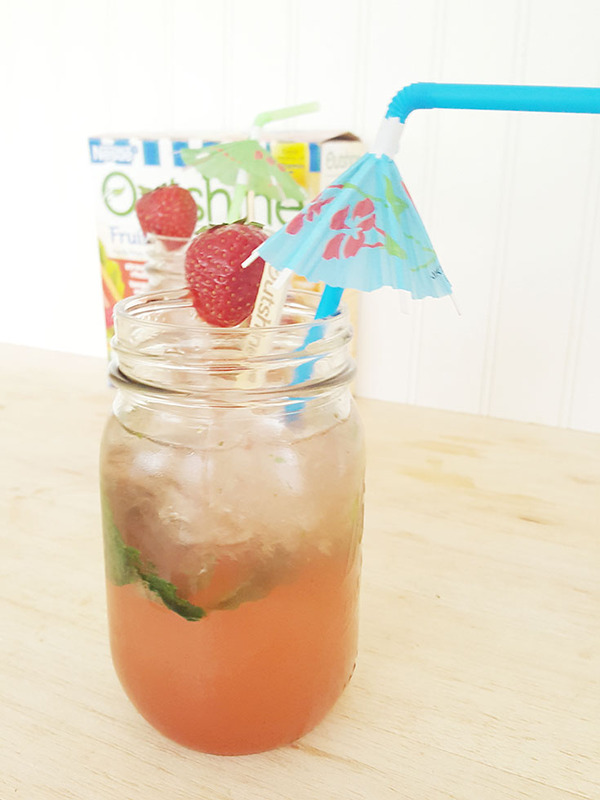 Add a strawberry onto the side of each glass and you are ready to enjoy! So tell me, what's your favorite way to "cheat" and still remain healthy? 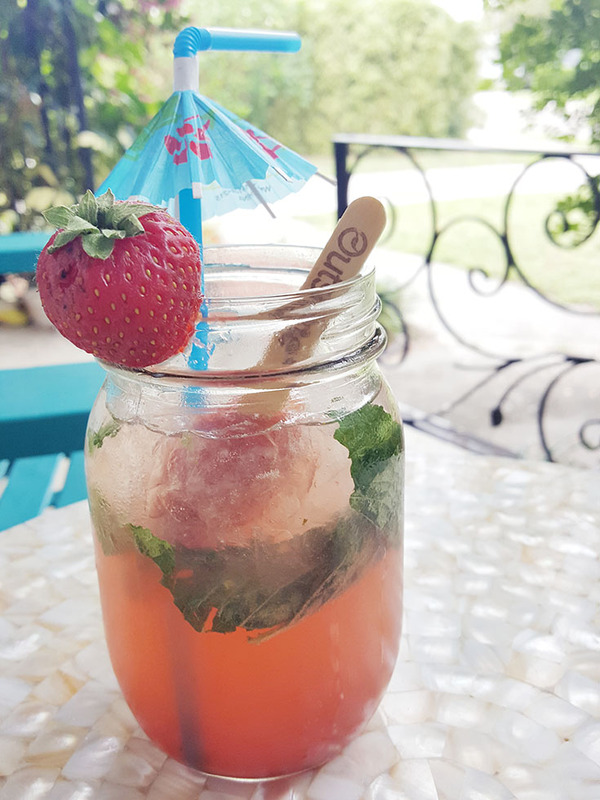 These mojitos and Outshine bars are just two of our favorites... Click here to find a place near you that carries these delicious bars if you want to give these cocktails a try.